The Nabataeans of ancient Arabia were the middlemen in the long distance trade between the ancient Mediterranean and South Arabia. 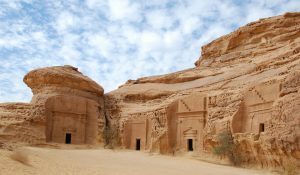 Known the world over for their hauntingly beautiful cities of Petra and Mada’in Saleh and engineering acumen, the Nabataeans of ancient Arabia were the middlemen in the long distance trade between the ancient Mediterranean and South Arabia. Mysterious and beguiling, their legacy endures across time and space in the Arabic script and in the sophistication of their cities, carved out of the harsh desert landscape. 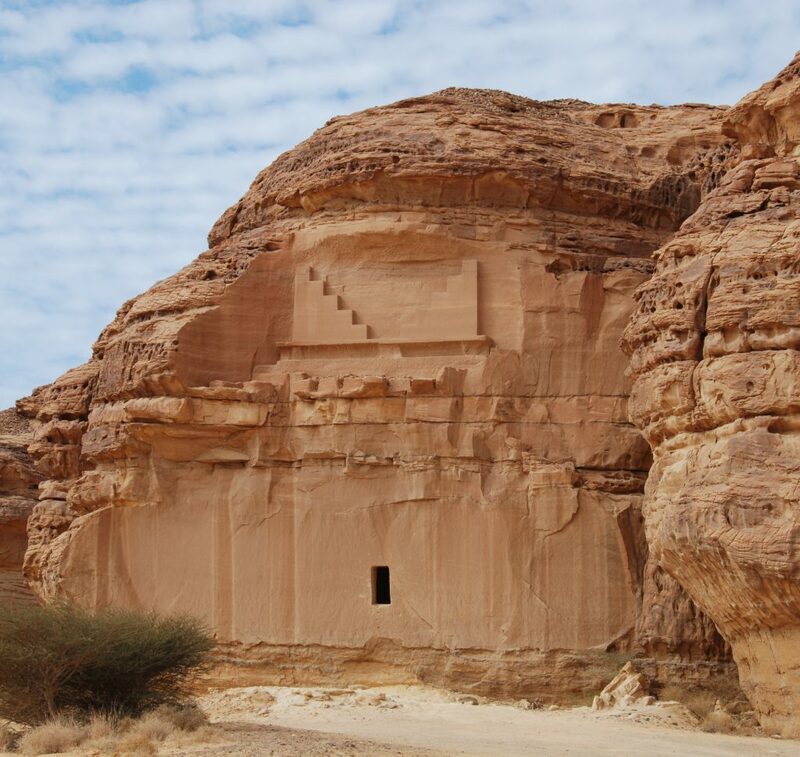 In this exclusive interview, Dr. Laïla Nehmé, a senior research scientist at the French National Center for Scientific Research (CNRS) in Paris, speaks to James Blake Wiener of Ancient History Encyclopedia (AHE) about the creative genius of the Nabataeans. JW: What do we know about the origins of the Nabataeans, Dr. Nehmé? 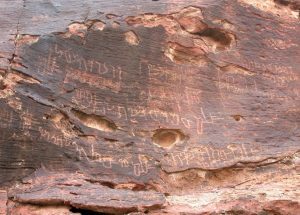 Written records from the Nabataean kingdom are limited, and there are only a few surviving documents in addition to scattered inscriptions and graffiti about them in Aramaic. LN: There have been various attempts, in the past, to determine where the Nabataeans originally come from, and it has been suggested that their homeland was southern Arabia. There, they would have acquired skills in hydraulics. They could have also originated in eastern Arabia, where parallels for the earliest Nabataean monumental tombs have been identified, or possibly northern Arabia, where they would have led a nomadic lifestyle before settling in Petra in the fourth or third century BCE. There are very few records that come from the Nabataeans themselves: A few papyri, which are mainly private contracts, and thousands of graffiti scattered on the rocks, 90% of which contain only the name of the individual who wrote it, his father’s name, and a formulaic greeting. Fortunately, ancient authors like Diodorus of Sicily (fl. 50 BCE), Strabo (64 or 63 BCE-c. 24 CE), Flavius Josephus (c. 37-100 CE) and others, describe the manners and customs of the Nabataeans. These sources allow us to immerse ourselves in their daily life and religion, or in the political and military events that punctuated their history. JW: The Nabataeans became wealthy from the “Incense Trade.” Do we know how they came to dominate this trade route with the kingdoms of South Arabia? Would it be fair to say that the trade of myrrh and frankincense was their “lifeblood”? LN: It is true that the Nabataeans became wealthy because they were involved — and we know they were from the end of the fourth century BCE onward — in the long-distance trade of incense and aromatics, which they conveyed from at least central and northern Arabia to the Mediterranean harbors through the caravan routes and stations they controlled. They were certainly skilled cameleers, and they knew how to travel across arid lands because they were familiar with the watering places. They were therefore able to play a substantial part in the lucrative trade of these products, which the Mediterranean world was so eager to import. Of course, this wealth came also from the taxes on the goods, which were paid to them in the various caravan stations. In this context, trade was certainly their ‘lifeblood’, but they pursued many other activities, including agriculture, pastoralism, and viticulture. 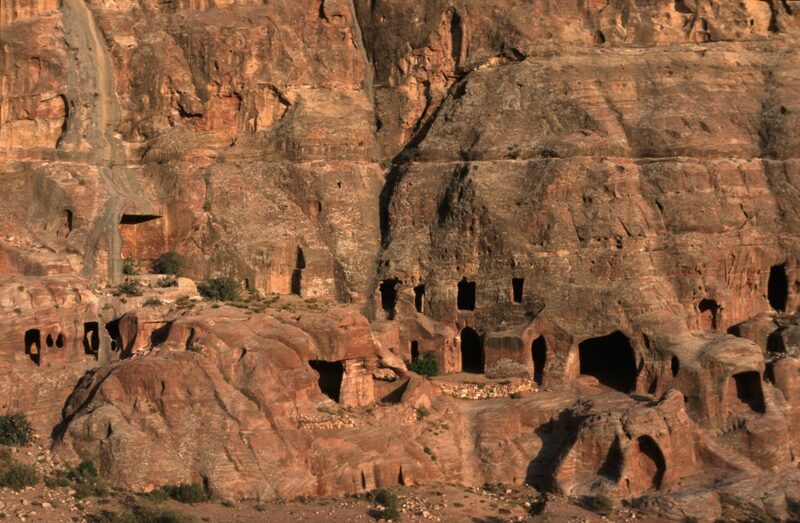 This is the case around Petra — where many Nabataean grape presses were found — and in the Arabian oases. In Mada’in Saleh (ancient Hegra), located in present-day Saudi Arabia, for instance, one finds that irrigated agriculture was undertaken: Palm trees, cereals, legumes, and fruit trees were grown. Cotton, a plant which requires significant water, was also cultivated in Mada’in Saleh. The Nabataeans were familiar with weaving, pottery manufacturing, and metalwork as well. JW: One cannot deny that the Nabataeans were also skilled engineers; they built beautiful cities — like their capital Petra and the metropolis Mada’in Saleh — which are filled with rock-cut monumental tombs, wide avenues, impressive theaters, and elaborately ornamented façades. 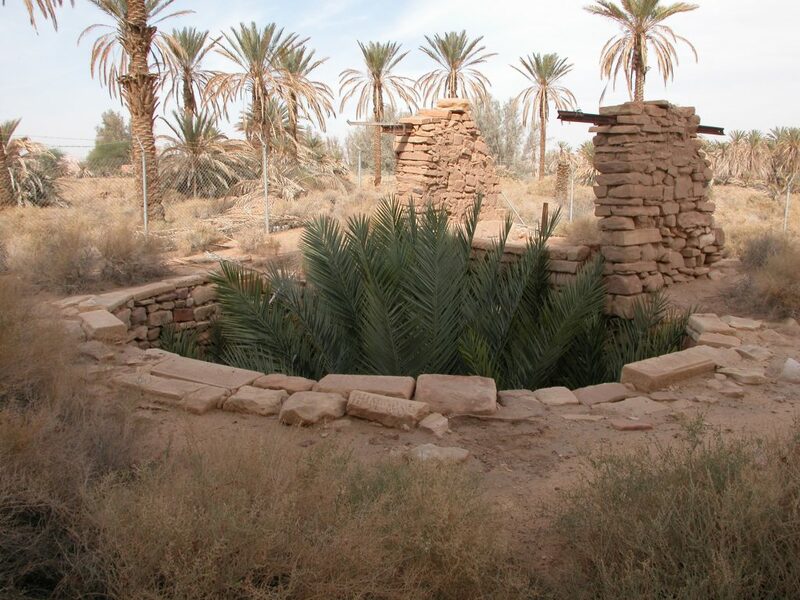 In the middle of the Negev Desert, the Nabataeans developed a complex system of water collection that provided them with ample water year round. How were the Nabataeans able to accomplish such feats given the rugged terrain and lack of natural resources in the region? The first because they were able to adapt to diverse environments and apply to each the appropriate technical solution; the second, because although most of these environments were difficult — they were tough or lacked water resources — they made the most of it. The Nabataeans exploited and made good use of all available resources. I will give two examples; in order to collect water, the Nabataeans resorted to two very different strategies in Petra and in Mada’in Saleh. In Petra, they brought the water down from the springs, which still flow a few kilometers east of the city center, through a sophisticated system of canals. 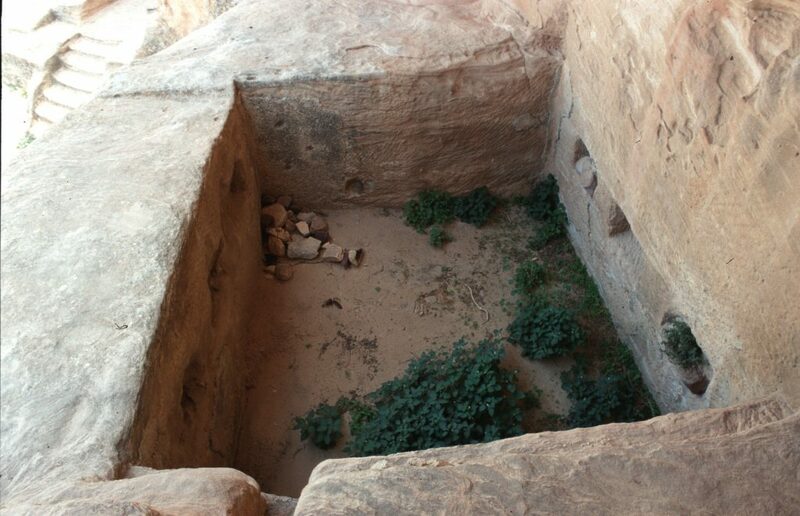 Additionally, at a more local level, in the various districts around the city center, they dug a series of interconnected small canals and settling basins, each of which lead to one of the 200 Nabataean cisterns identified so far in Petra. This provided each family or group of families with enough water for their daily use. In Mada’in Saleh, which lies in an alluvial plain where the water table was only a few meters below the ground in ancient times, there is no such thing. 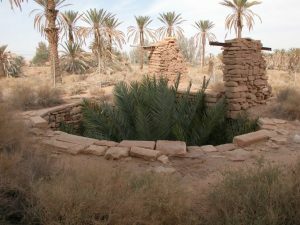 The Nabataeans had no choice but to exploit this water table, which they did by successfully digging 130 wells, at more or less regular intervals, thus turning their surroundings into a luxuriant oasis. The other example of ingenuity that comes to everyone’s mind is the Nabataeans’ ability to take advantage of the rocky landscape in the places where they settled: Petra, Mada’in Saleh, and Al-Bad‘ (in present-day Saudi Arabia). Rock cut monuments were not only the best solution to build tombs and other monuments in these natural settings, but they were also the most efficient way to obtain building material since every tomb site was treated as a quarry before the surface of the rock was more finely carved and decorated. JW: How do Nabataean burial practices and funerary architecture differ from those of their neighbors in the Arabian Peninsula and Near East? What makes them so distinct and of great interest and importance to archaeologists? LN: Excellent question, James. One should first make a distinction between funerary architecture and burial practices. The former is indeed very specific to the Nabataeans, particularly with regard to the rock cut architecture. A rock cut tomb with a motif of crow steps at its top, an Egyptian gorge below it, a pilaster on each side of the façade, and a triangular pediment sitting on top of the door cannot be anything but “Nabataean.” Therefore, the discovery of such a tomb at a site somewhere between Damascus and Khaybar, in the Hejaz, is a decisive argument for Nabataean occupation; i.e., it is a “diagnostic” feature, as is also Nabataean fine ware painted pottery. As for the burial practices, on which our excavations in Mada’in Saleh have recently shed light in an unprecedented way, they do not differ fundamentally from that of their neighbors, at least not in general terms. The Nabataeans like their neighbors used shrouds and wooden coffins, ointments, and made funerary deposits. What makes them of great interest to archaeologists is the detail with which one can reproduce the burial process. This is true especially in Mada’in Saleh: The deceased was undressed and anointed — probably at home — with a mixture of vegetable resins and fatty acids. 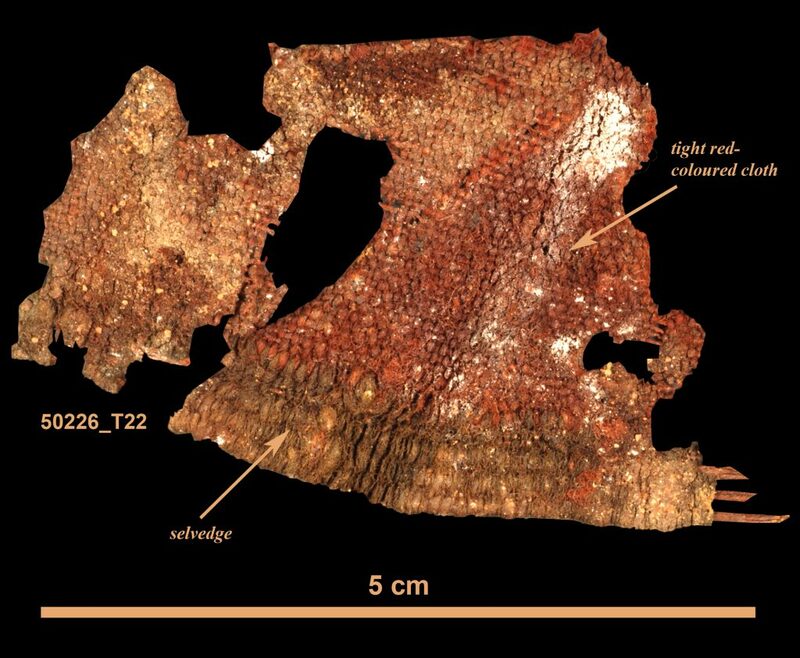 They were then wrapped into three layers of textiles of decreasing fineness — two of linen and one of animal hair — separated by the same mixture and maintained together with straps. Thus arranged, the body was finally put in a leather wrapper and carried from the house to the tomb by means of a leather transportation shroud equipped with handles. This is all very new, and it adds a lot to the information already available. JW: The decline of the Nabataeans is a topic that archaeologists and historians continue to debate. What do you believe the archaeological record shows? Their civilization seemed to flourish independently and then as a Roman client-state until about the third century CE. LN: The Nabataean kingdom flourished for about two hundred years as an independent kingdom, which did not prevent it from becoming a client state of Rome during the second half of the first century BCE. Alliances, important decisions, and territorial expansion were certainly undertaken with Rome’s implicit consent. However, the kingdom was nevertheless independent and managed its internal affairs in the manner it had always done with a king at its head, an administration which issued Nabataean currency, and provincial governors installed across the provinces. In 106 CE, this “political” independence was lost because the whole of the Nabataean territory was annexed by the Roman emperor Trajan (r. 98-117 CE) in order to form a new Roman province — adequately called the “Province of Arabia.” It should be known, however, that the Nabataeans did not suddenly and altogether disappear. Most of them must have remained in the cities where they lived, went on using the Nabataean alphabet until the mid-fourth century CE, and continued to give typical Nabataean names to their children. (Names, particularly those derived from the names of their kings and gods such as “Obodas,” remained popular.) They additionally maintained their pottery tradition until the sixth century CE as is evidenced by the pottery kilns located around Petra. 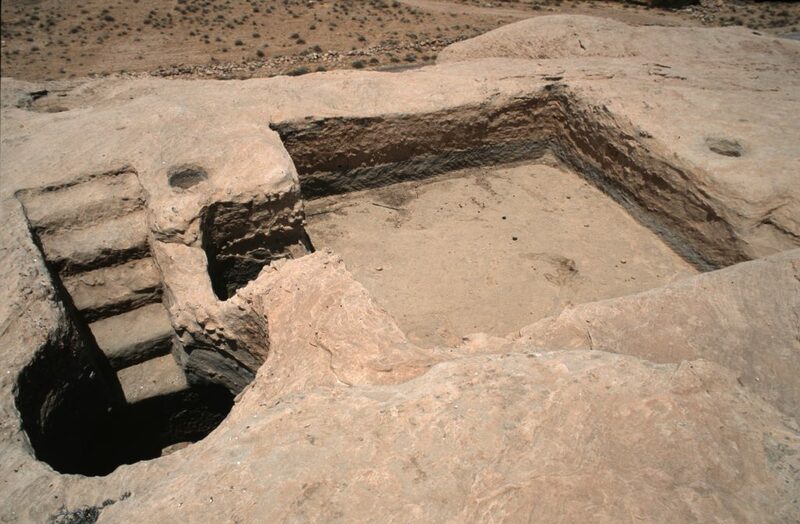 Although archaeology and epigraphy tell us that the Nabataean kingdom disappeared as a political entity, aspects of the Nabataean culture endured for several centuries. That being acknowledged, archaeology also tells unexpected things: The excavation of several triclinia — banqueting halls — in Mada’in Saleh. showed that these structures stopped being used as meeting places for Nabataean fraternal societies soon after the Roman take over. The Romans did not see with a favorable eye meeting places where political discussions were certainly flying around! JW: What is the greatest legacy of the Nabataeans in your estimation, Dr. Nehmé? How should we best remember them and their various achievements? LN: Asking this question to a person who is both an archaeologist and an epigraphist leads indubitably to two answers. The first is of course their monumental rock cut tombs, and one will certainly not need Indiana Jones’ Last Crusade final scene to remember the Khazneh in Petra, and all the smaller monuments they cut into the rocks. All we can hope for is that they do not suffer too much from environmental and human depredations in the future. The second is probably more surprising for a non-academic public, and that is the Arabic script. 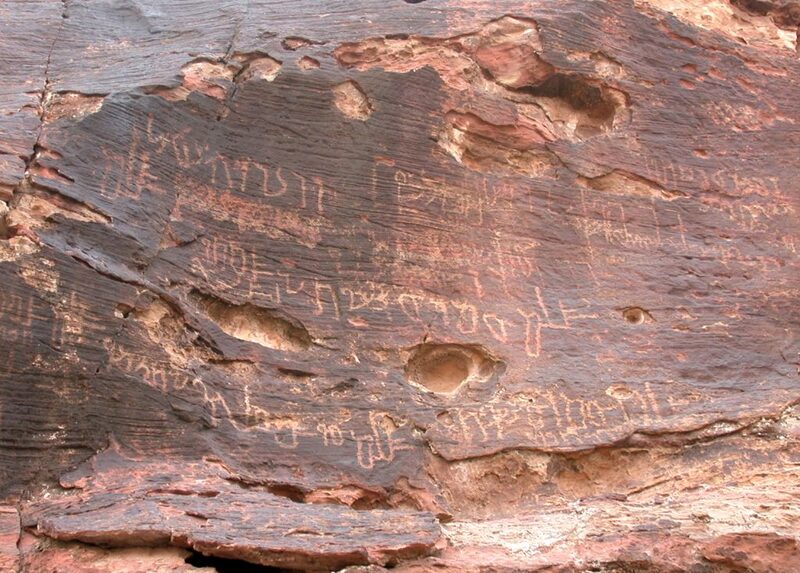 At the time when Arabic started to be written by people who spoke Arabic and used Arabic in their written documents (in the administration and chancelleries), Nabataean was the only script of prestige, which survived in the area where this happened: northwest Arabia. The script was indigenous, more or less adequate, and not used exclusively by the nomads. The most important legacy of the Nabataeans, although they were not aware of it, is therefore the Arabic script, which now used by millions of people around the world. 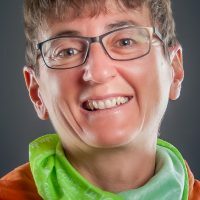 JW: Dr. Nehmé, thank you for sharing your thoughts about this most interesting ancient culture. We look forward to following your research and activities! LN: You are very welcome, James! 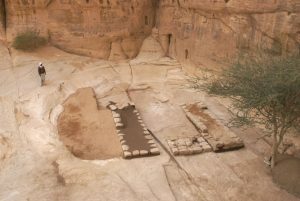 Hopefully in the near future, I shall be continuing to run with my European and Saudi colleagues the excavations at Mada’in Saleh, mainly the ones we have started in the residential area, including a Roman fortified camp, a Nabataean sanctuary, a monumental gate along a rampart, and a large residential unit. I would also like to continue the publication of the material I have collected, which sheds light on the development of the Nabataean script into Arabic: The inscriptions themselves, the analysis of the script, of the orthography, of the personal names they contain, and their distribution. Finding who is responsible for the development of the Arabic script is a fascinating challenge. Finally, considering that since I started archaeology, 30 years ago, I moved south from Syria to Jordan and from there to Saudi Arabia, I would happily extend my investigation area to Egypt, where the Nabataeans were present — east of the Nile and in the Sinai peninsula — and, in the short-term, to the region immediately south of Mada’in Saleh, where the Nabataeans were very active in ancient times. All of this means setting up new projects, which is a long and time consuming part of our job as researchers. This entry was posted in Ancient, Arabia, History. Bookmark the permalink.